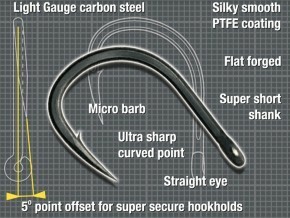 The first dedicated floater fishing hook. 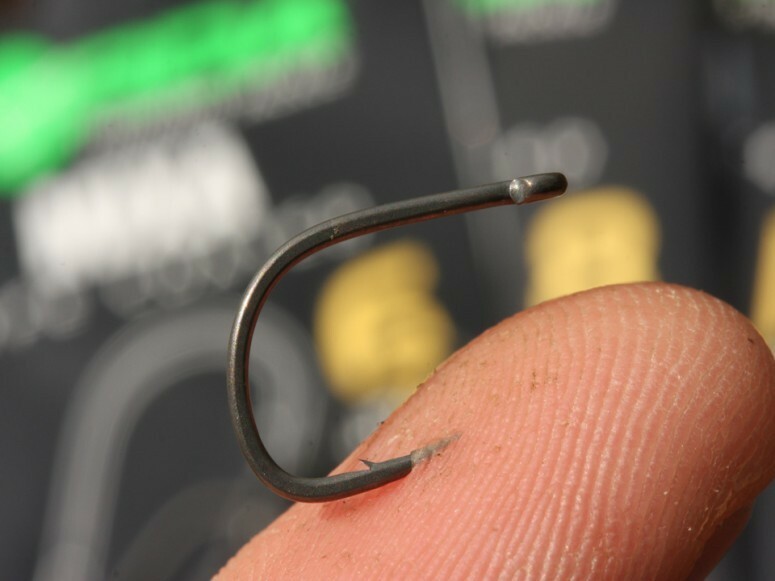 These have been specifically designed to hook even the shyest feeding carp on the surface. With a short shank, wide gape, beaked offset point, they truly are made for the job. The final most noticeable point about these hooks, are their sharpness; hypodermic and piercing is the best possible explanation I can give. So much so that the guys at Korda have been using them for all manner of carp fishing situations. Korda’s Ali Hamidi commented; “They have been initially designed for surface fishing, but great hook patterns like this, considering their sharpness and characteristics lend themselves to lots of fishing scenarios. 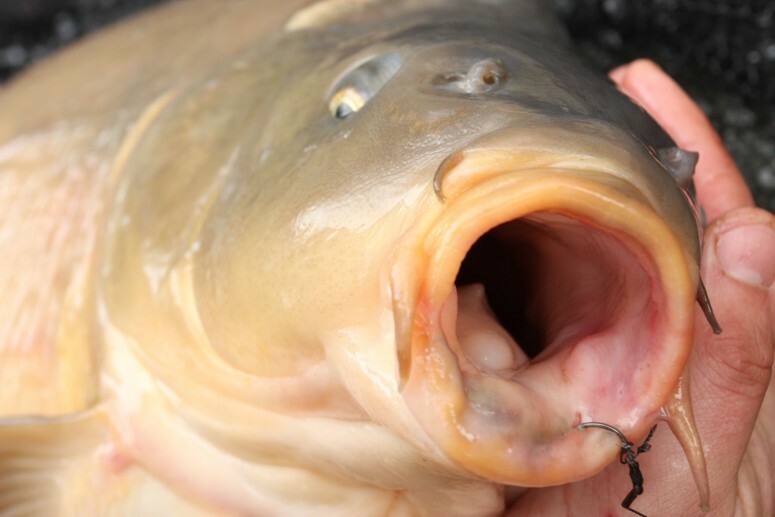 They’ve been catching specimen Chub, Barbel and obviously loads of carp during testing”. 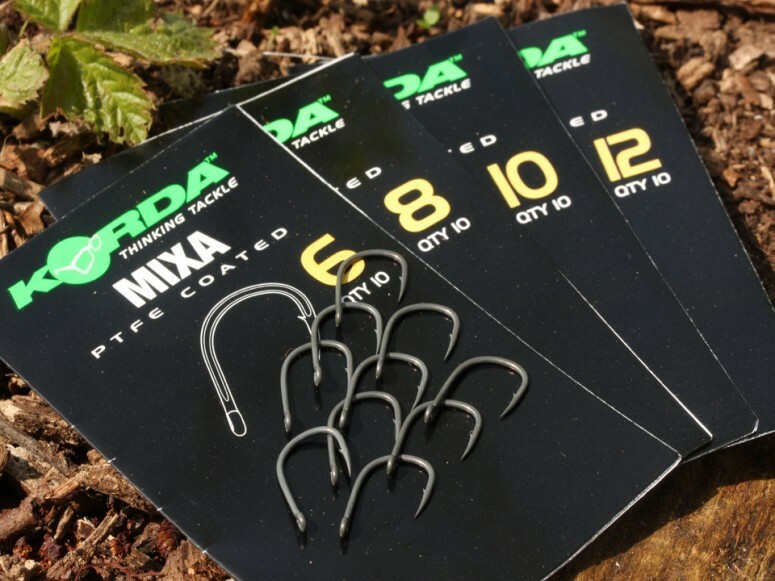 The Mixa hook is available in barbed and barbless versions, in size 6, 8, 10 & 12.